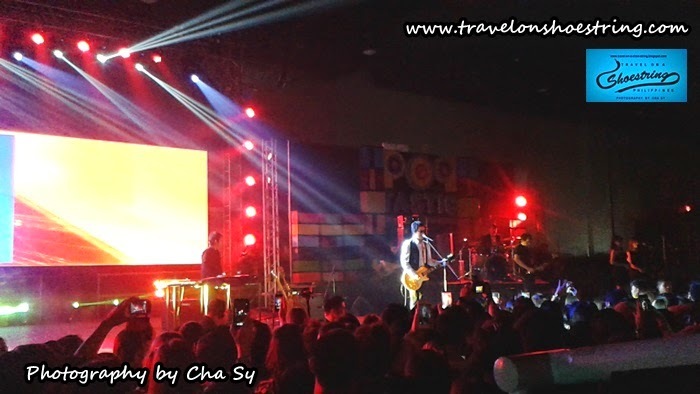 Ely Buendia and his band Pupil rocked 9,000 Sykes employees in Metro Manila at the recently concluded Poptastic Celebration held at the ground floor of SMX halls 1, 2, 3 &4. It was a great year for Sykes so it ended the year with a joyous celebration for all of its employees both in Metro Manila and in Cebu. I couldn't believe my eyes when I set foot at SMX because there's literally thousands of people there. And they all work for Sykes- who incidentally pioneered the business process outsourcing (BPO) in the Philippines. Imagine how huge the company is. It has about 9,000 employees in Metro Manila alone plus 3,000 more employees in Cebu and other various locations in the Philippines. The highlight of the event is the vibrant performances of the Sykes employees sporting pop-inspired outfits, raffle with big prizes, the song and dance performance of its country head plus, of course, Ely Buendia and his band who got a standing ovation from start to finish.